Shame Luther, a no-nonsense construction worker by day and a self-taught piano player by night. The love story that ensues propels them on an unforgettable journey from Chicago's South Side to the coast of Kenya as they navigate the turbulence of long-buried pasts and an uncertain future. 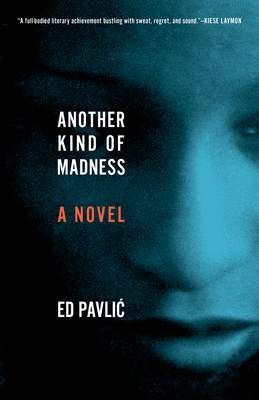 Ed Pavlic is the author of eight collections of poems, including Visiting Hours at the Coloring Line and Let's Let That Are Not Yet: Inferno, both of which were winners of the National Poetry Series. He has published essays, poems, fiction, and dramatic pieces with dozens of outlets, including the New York Times, Boston Review, Harvard Review, Ploughshares, and Callaloo. His critical work includes 'Who Can Afford to Improvise?' James Baldwin and Black Music, the Lyric and the Listeners and Crossroads Modernism: Descent and Emergence in African American Literary Culture. A recipient of the Author of the Year Award from the Georgia Writers Association and a fellowship from the W.E.B. Du Bois Institute at Harvard University, Pavlic is Distinguished Professor of English and African American Studies at the University of Georgia.